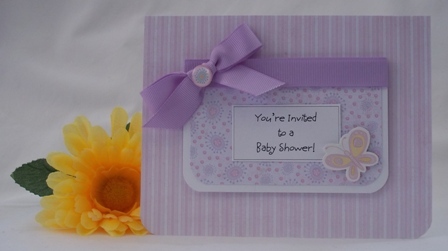 Baby shower invitation idea that's sure to put smiles on invitees. 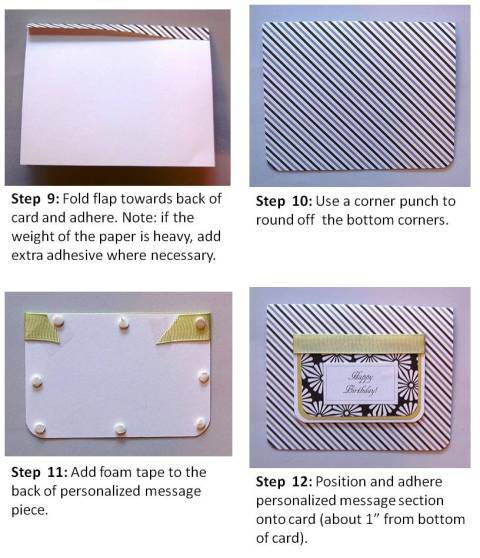 Discover many baby shower handmade card ideas using punches, pretty prints and fun stickers. I used two coordinating paper prints for this homemade baby shower invitation, a stripe and a cute print. I outlined the print with white cardstock paper so that the print would "pop" and not be hidden. 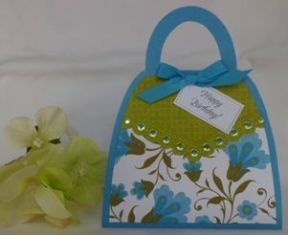 I often incorporate craft punches for my homemade card ideas and used a corner punch along the bottoms of the stripe, print and white pieces of paper. 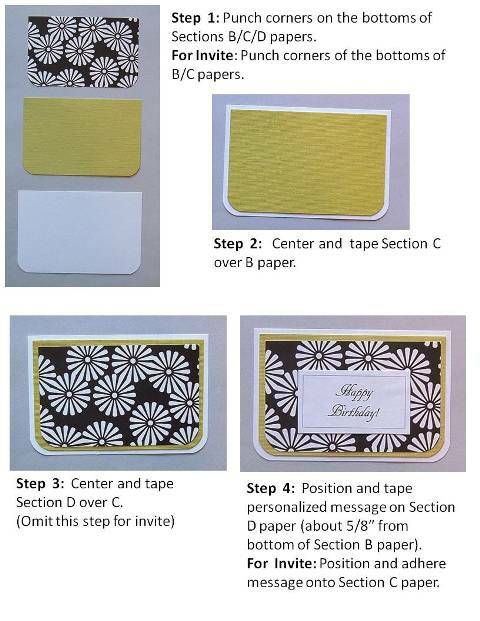 For this handmade card making baby shower project, I used foam tape behind the white cardstock border to add dimension to the invitation. 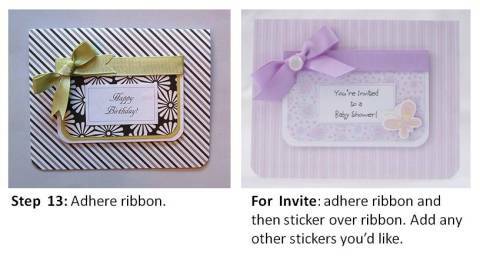 Don't forget ribbon for your homemade baby shower invitations. I almost think your baby shower invitation cards are naked without them. 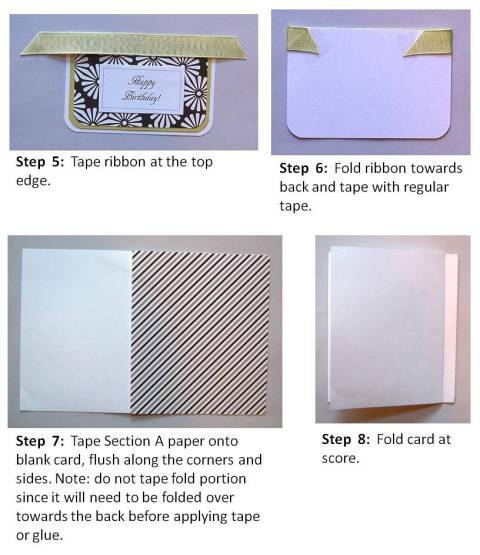 When you are making handmade baby shower invitations and you have a lot of time, try to wait until your supplies are on sale since you will need several sheets of paper, ribbon and any other embellishments. 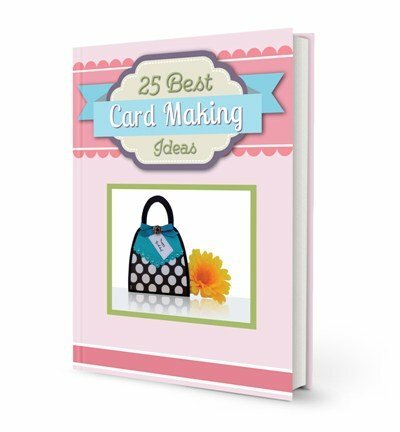 As I'm thinking about my baby shower invitation ideas, I like to plan ahead and try to get volunteers to help me assemble the cards. You can always find friends, moms or mother-in-laws to help. Think about how you're going to put the invitation together and create an assembly line to make baby shower invitations. For my handmade baby shower invitation, I created the sentiment on my computer which saved me money because I was able to make several sentiments on one sheet of paper. I then used a paper cutter to save time when cutting them instead of cutting them each by hand. 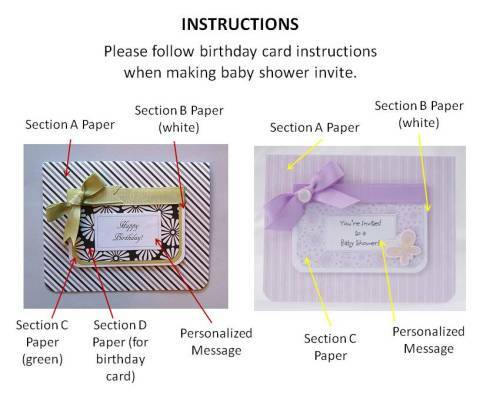 When you create baby shower invitations for yourself, friends or family, you often know ahead of time so plan early and catch sales when you can. 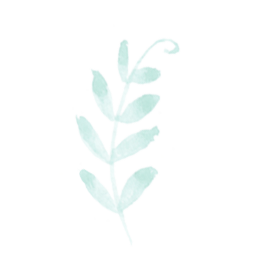 This will help save time, money and stress as you are planning for the baby shower.